For the first time ever, millions of patients with long term health conditions such as diabetes, coronary heart disease or chronic lung disease can get instant and direct access to an experienced NHS trained nurse through an exciting new telephone health coaching service, MyClinicalCoach™. The monthly subscription based service is due to revolutionise the way in which patients get support to manage their long term health conditions and promises to transform their quality of life and provide peace of mind for loved ones from less than £1 per day. 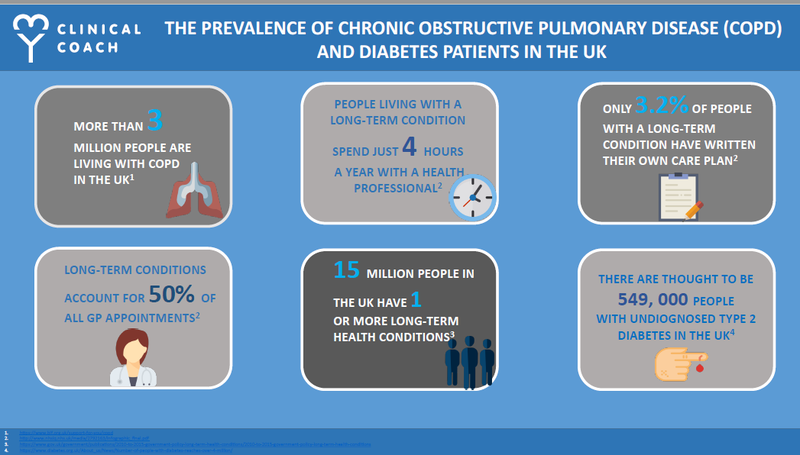 Over a quarter of the population in England (15.4 million people) has a long-term condition and an increasing proportion of these people have multiple conditions. In addition, doctors acknowledge that there remain millions of people who are undiagnosed with chronic conditions and many who are at risk of developing diseases. MyClinicalCoach™ now looks set to transform care for these patients by providing tailored packages, delivered over the phone at a time and place convenient to patients, with practical advice and emotional support designed to engage, educate and empower them to take control of their condition. MyClinicalCoach™ nurses can help guide patient’s decisions about lifestyle, medication and other treatment options, and offer support by encouraging them to set and reach health goals and becoming an “expert friend” to listen, ask good questions and celebrate progress. Together, patient and personal coach establish what’s right for each person and explore the most up to date, evidence based recommendations that can make a really big difference to quality of life. In short, with their own personal health coach, patients will feel better and more confident about their health, lead a more active and fuller life and require fewer emergency GP appointments and contacts with the NHS. Patients are free to call as often as needed and MyClinicalCoach™ nurses will arrange the phone calls, following an assessment with the client to allow the clinical health coach to tailor the support to the patient and their condition. The service aims to support people with their everyday experiences of the condition, preparing patients to manage their treatments effectively and make lifestyle changes to increase activity and vitality. The Premier service offers extended evening hours and Saturday mornings. Patients who have experienced this service via the NHS have seen huge benefits, with results showing that following a programme of clinical health coaching, 96% of patients felt more knowledgeable about their condition, 100% of patients felt more confident about being able to manage their condition, and 96% of patients felt motivated to make behavioural changes such as smoking cessation, increasing exercise, medication compliance etc. 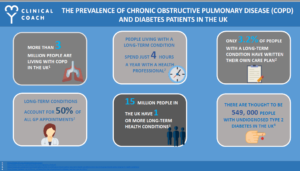 Emma-Jane Roberts, Managing Director, My Clinical Coach Ltd comments, “The impact of long term health conditions on people’s daily life in the UK is huge and we know from talking to our patients that many of them struggle to manage their condition. So, having a personal health coach at the end of the phone to be able to provide practical and emotional support has the potential to transform quality of life for millions of patients. Details of the subscription based service can be found at www.myclinicalcoach.com or patients can talk to an advisor on 0333 004 0043.